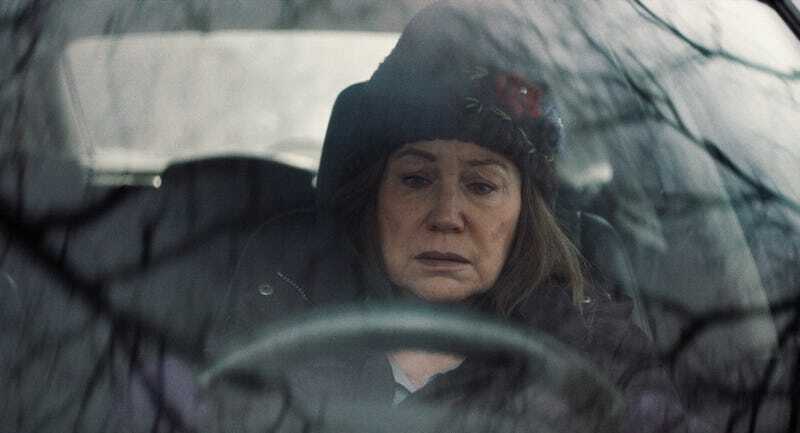 The eponymous lead character of Diane, played by the 70-year-old veteran actress Mary Kay Place (The Big Chill, Being John Malkovich), is a retiree who spends most of her waking hours doing charitable work: making casseroles for ailing friends; serving food at the local homeless shelter; visiting her cousin, Donna (Deirdre O’Connell), who is dying of cervical cancer; and frustratedly tending to her thirtysomething son, Brian (Jake Lacy), whom she’s accepted may never kick his heroin habit. Coming across like some form of penance, Diane’s daily activity is in keeping with the Catholic roots of the rural Massachusetts area where she’s lived most her life—a milieu so memorably put to screen in Kenneth Lonergan’s recent Manchester By The Sea. But whereas that film rippled out from a horrific, life-altering tragedy, Diane observes the more quotidian realm of humdrum lives listlessly propelled by everyday disappointments. 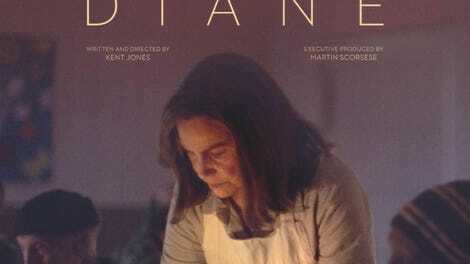 A standout at last year’s Tribeca Film Festival (where it won Best Narrative, Best Cinematography, and Best Screenplay), Diane is the debut fiction feature of Kent Jones, a storied film critic and the current director of the New York Film Festival. (He previously made the documentary Hitchcock/Truffaut.) Understandably, then, the movie—on which no less than Martin Scorsese serves as executive producer—demonstrates a clear grasp of cinematic form and grammar. Jones’ pendular editing patterns move the viewer between key locations (Diane’s home, her son’s apartment, Donna’s cancer ward), with countless interpolated shots of Place driving along the slick highways and snowy side streets of the Bay State. The film’s standout scenes—Diane’s visits to Donna, a casual kitchen-table hangout with elderly relatives and friends—have an easy, naturalistic tenor indicative of the shared histories and cumulative experience of those involved. But Jones also imbues the film with a kind of pensive unreality, using dreamy, molasses-slow crossfades to lull the viewer into an almost trancelike state. In all this, there remains a purposeful if haphazardly realized design. As Diane’s relatives and friends continue to fall away with the passage of time, Jones intensifies the film’s discombobulating rhythms, taking Diane from hard-edged physicality to a more interiorized, subtly dreamlike haze. (No points for recognizing the head-smacking irony of the lead character’s name, though at least her family name isn’t “Young.”) The veracity of specific scenes (including the ones with Brian) thus become tinged with the possibility of wish-fulfillment projection. Compared to Diane’s rather staid first half, this ambitious formalist turn is welcome. But fittingly, perhaps, for a film so fixated with death, it’s too little, too late.